* Always keep a burning candle within sight. 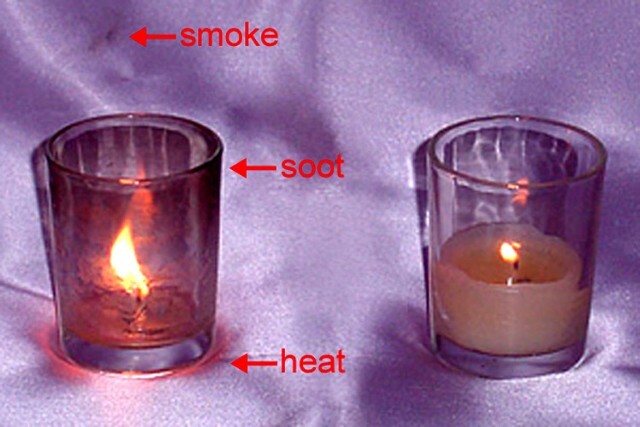 Extinguish all candles when leaving a room or before going to sleep. * Never burn a candle on or near anything that can catch fire. Keep burning candles away from furniture, drapes, bedding, carpets, books, paper, flammable decorations, etc. * Keep candles out of the reach of children and pets. Do not place lighted candles where they can be knocked over by children, pets or anyone else. * Trim candlewicks to ¼ inch each time before burning. Long or crooked wicks cause uneven burning and dripping. * Always use a candleholder specifically designed for candle use. The holder should be heat resistant, sturdy and large enough to contain any drips or melted wax. * Be sure the candleholder is placed on a stable, heat-resistant surface. This will also help prevent possible heat damage to counters and table surfaces and prevent glass containers from cracking or breaking. 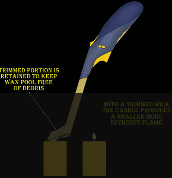 * Keep the wax pool free of wick trimmings, matches and debris at all times. 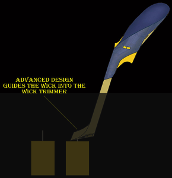 * Always read and follow the manufacturer's use and safety instructions carefully. Don't burn a candle longer than the manufacturer recommends. * Keep burning candles away from drafts, vents, ceiling fans and air currents. This will help prevent rapid, uneven burning, and avoid flame flare-ups and sooting. Drafts can also blow lightweight curtains or papers into the flame where they could catch fire. * Always burn candles in a well-ventilated room. Don't burn too many candles in a small room or in a "tight" home where air exchange is limited. * Don't burn a candle all the way down. Extinguish the flame if it comes too close to the holder or container. For a margin of safety, discontinue burning a candle when 2 inches of wax remains or ½ inch if in a container. 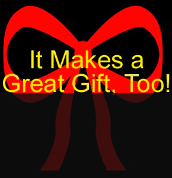 * Never touch a burning candle or move a votive or container candle when the wax is liquid. * Never use a knife or sharp object to remove wax drippings from a glass holder. 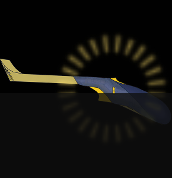 It might scratch, weaken, or cause the glass to break upon subsequent use. * Place burning candles at least three inches apart from one another. This is to make sure they don't melt one another, or create their own drafts that will cause the candles to burn improperly. 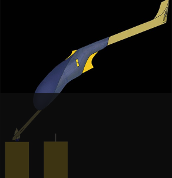 * Use a candle snuffer to extinguish a candle. It's the safest way to prevent hot wax from splattering. * Never extinguish candles with water. The water can cause the hot wax to splatter and might cause a glass container to break. * Be very careful if using candles during a power outage. Flashlights and other battery-powered lights are safer sources of light during a power failure. Never use a candle during a power outage to look for things in a closet, or when fueling equipment - such as a lantern or kerosene heater. * Make sure a candle is completely extinguished and the wick ember is no longer glowing before leaving the room. * Extinguish a candle if it smokes, flickers repeatedly, or the flame becomes too high. The candle isn't burning properly and the flame isn't controlled. Let the candle cool, trim the wick, then check for drafts before re-lighting. * Never use a candle as a night light. 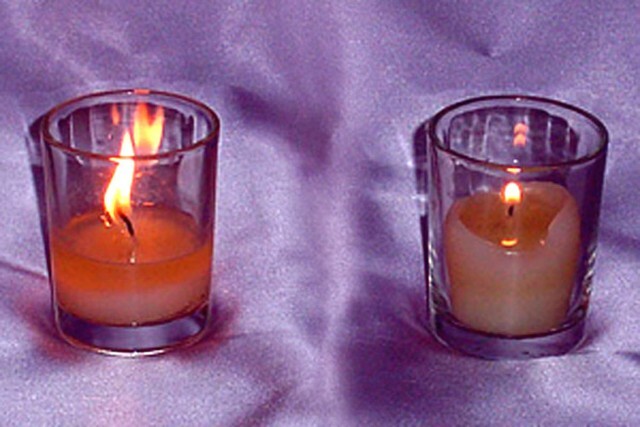 Below is a side by side comparison of two identical candles and votives to illustrate the benefits of proper candle maintenance. 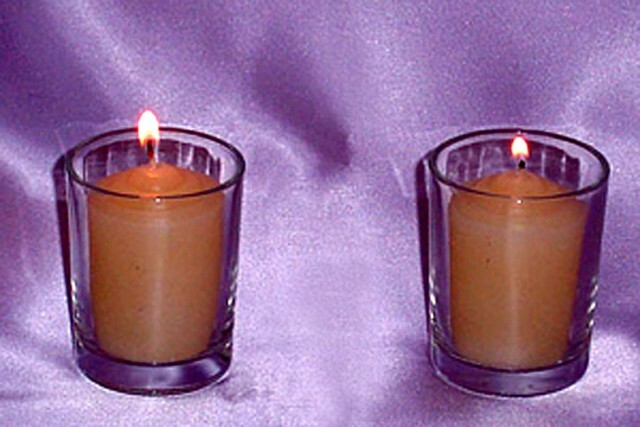 The wick of the candle on the right was trimmed to 1/4" prior to lighting. Then extinguished, trimmed to 1/4" and re-lit every 2 hours. The candles were allowed to burn at a rate based on the amount of heat produced by the size of the flame.. 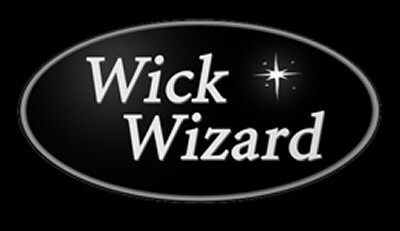 The untrimmed wick also produces higher smoke and soot emissions. and minimizes heat, smoke and soot emissions. Enjoy safer, cleaner and longer burning candles.